MERF’s Anatomical Surgical Skills Laboratory provides a realistic surgical environment for experiencing new or existing procedures. Our relaxed lobby provides a breakout area for training workshops, ideal for networking with other healthcare professionals. 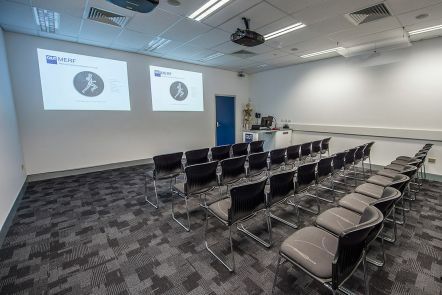 Our seminar facility has seating for 35, as well as AV and video conferencing capabilities. Our high school anatomy program reinforces and improves classroom knowledge. 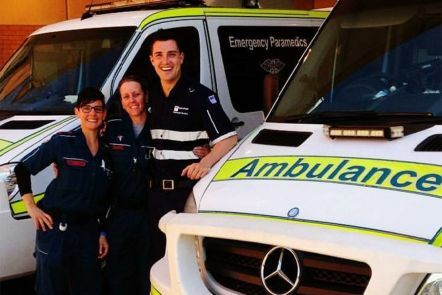 Training at MERF provides QUT undergraduate paramedics with professional education in courses designed to provide skills needed in the real world. Our Anatomical and Surgical Skills Laboratory (ASSL) is a custom-built facility that enables surgeons and trainee surgeons to experience new or existing procedures in a realistic surgical environment. 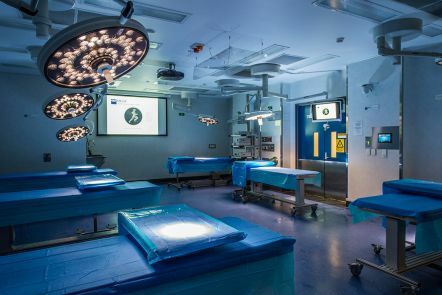 The laboratory is equipped with an extensive range of surgical instruments and technical equipment, providing a seamless transition directly to the operating theatre. 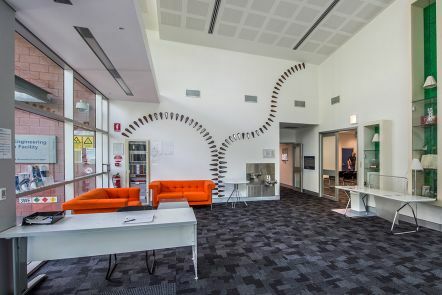 Our high school engagement program offers a unique anatomy experience for Year 11 and 12 students. The sessions can be designed to focus on the student syllabus to reinforce and improve their classroom knowledge. Our anatomy education sessions are designed to meet the needs of health care professionals including paramedics, medical staff and healthcare workers. Sessions can range from basic human anatomy to tailored courses meet your specific needs. We have designed a comprehensive, 14-week General Surgical Anatomy Course (GSAC) that enables prevocational doctors to further enhance their knowledge of anatomy with hands-on education. The course is primarily for prevocational doctors preparing for the General Surgical Skills Exam, but it is open to prevocational doctors from other specialties and relevant allied health professionals. The GSAC is accredited by RACS. Experienced clinical anatomists and leading surgeons lead sessions using wet prosected specimens and fresh frozen donors to demonstrate various surgical approaches in neurology and the head and neck, thorax, abdominal, intra-pelvic, shoulder, elbow, wrist/hand, hip/pelvis, knee, ankle/foot and back/spine regions.